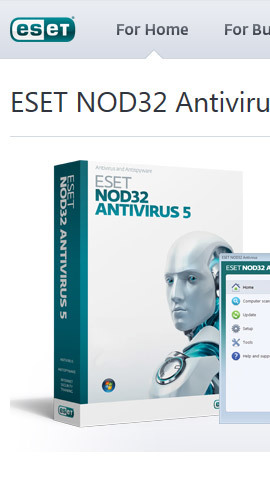 ESET is sold in more than 160 countries worldwide. ESET's focus is on software solutions that protect computers from security threats. They have a wide range of products, from software for a basic home user up to the Enterprise package for big businesses. I have completely redone the entire back-end structure, meaning that I took every single page and reworked it inside a PHP framework that I created. This framework is templating based so the web designer can go in and add pages or make changes without needing to know any PHP. This robust framework makes it easy to deal with international traffic, add landing pages for promotions, use A/B and multivariate testing for design optimization and integrate seamlessly into the shopping cart, knowledgebase and the site search. I created a support form that allows the customer to get there answers from an automatically generated list of the 5 most helpful articles that related to their problem category. This has greatly reduced the number of support requests that we get now as most issues are fairly straightforward and can be answered by these articles. I worked with Inquira to develop the knowledgebase and the ESET site search. This required me to brush-up my JSP skills. I localized the UI into multiple languages such as Spanish, Slovakian and British English. I improved the trial download process by cutting out two or three steps in order to help our customers download faster and with less hassle. I redesigned the downloads page so customers can find software and manuals more easily and download them faster. There are so many little odds and ends that I do on a day to day basis, but the above gives a good picture of some of the larger projects I've worked on.